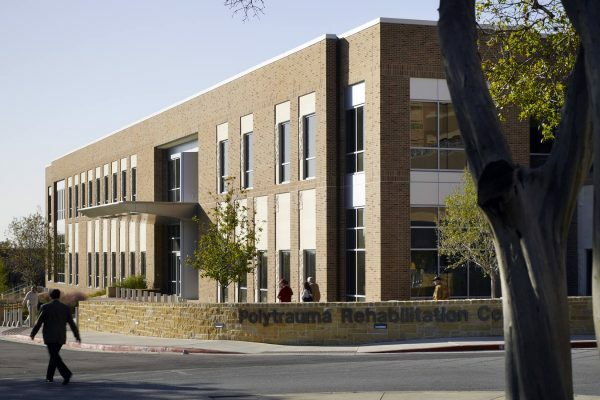 As the South Texas Veterans Health Care System, the umbrella organization of the Audie Murphy VA Hospital and Polytrauma Rehabilitation Center, set out to construct a new Polytrauma facility adjoining the original 1970s era main VA Audie L. Murphy hospital, they knew that this project would significantly impact veterans and military personnel in the region. 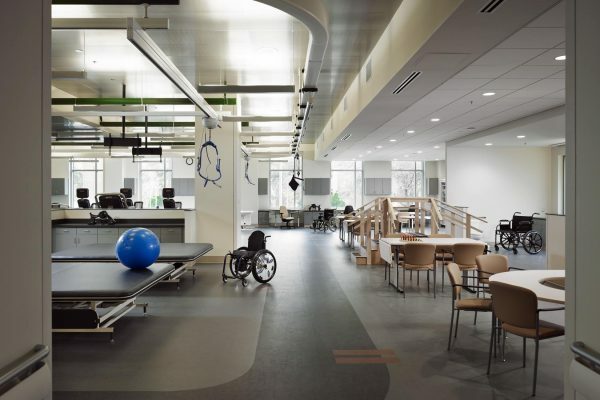 The design of the facility was to reflect healing for both the patients and the families. 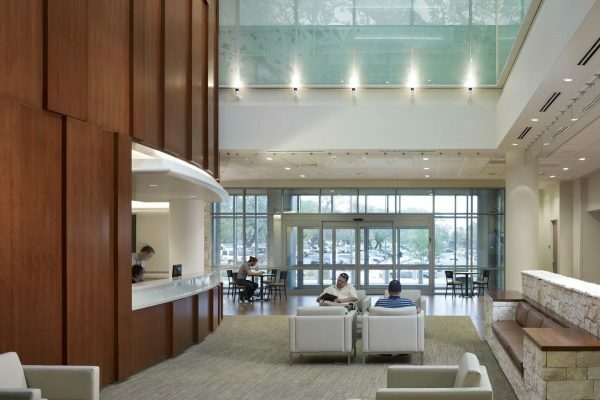 With such an important cause, Robins & Morton took great pride in the overseeing of thisproject. 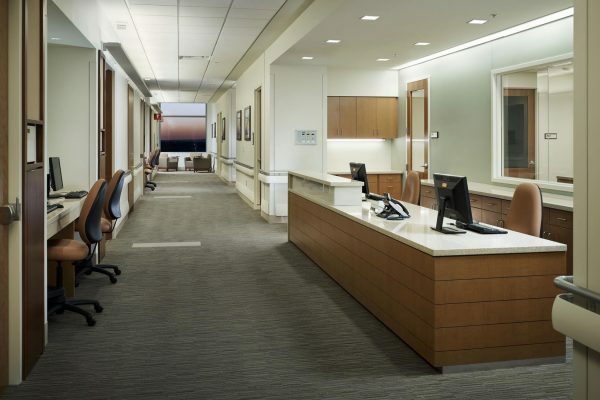 When taking on a project of such magnitude for the VA, Robins & Morton was expected to adhere to the VA’s high standards in security, quality control, and goals for sustainability. 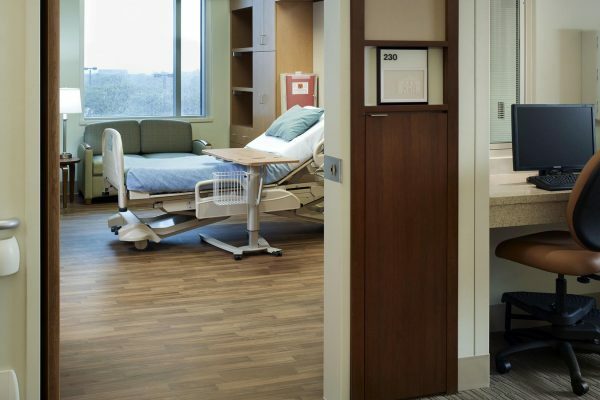 Robins & Morton was sure to incorporate elements that would not only promote healing of the patients and families, but also added features that would be invaluable to veterans now and in the future. 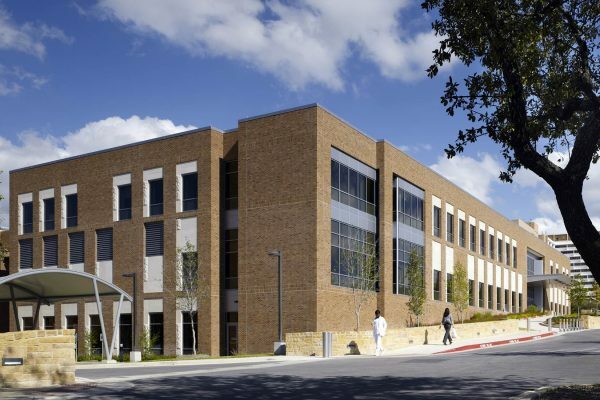 The 84,000-square-foot facility features 12 inpatient bedrooms with artful casework, facility-wide patient lift trolley system and indoor walking path, transitional apartment, PTEC gymnasium, interior courtyard and physical therapy outdoor training, congregate living areas, café area, and a beautifully designed admitting area. 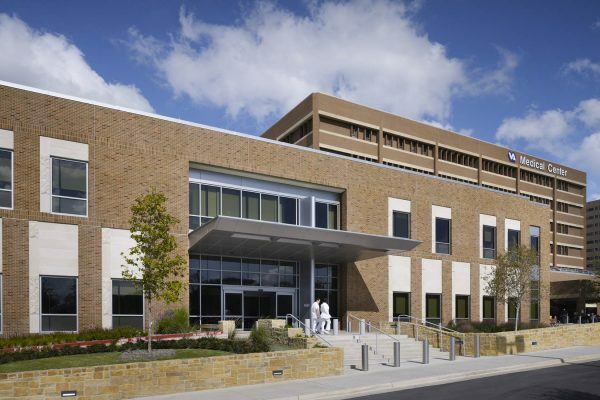 This state-of-the-arthospital continues to be dedicated to treating veterans and military personal suffering from the physical and mental effects of war. I found that Robins & Morton was very cooperative and displayed a no-nonsense approach when it came to problem solving. I have strong confidence that anyone that has the privilege of working with the Robins & Morton team will no doubt have a top notch experience. To me, it was about working together to serve a deserving end-user who had served and protected our country. We all came together and were unified by these current events. It brought home the fact that the work we were doing was extremely important not only to the community, but to the country. Robins & Morton really worked with us as best they could in order to help us get the look we were going for within the budget.